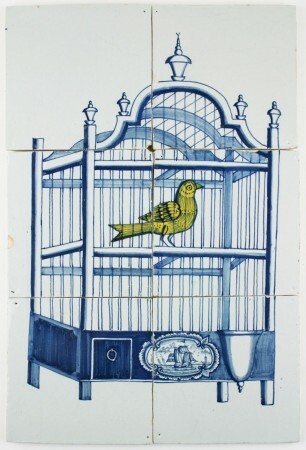 Wonderful and original 18th century Delft tile mural in blue with a bird cage and a yellow canary. The mural is of the finest available quality and still in a tremendous condition without restorations. The bird cage is decorated with a sea scenery, including a beautiful sailing boat. 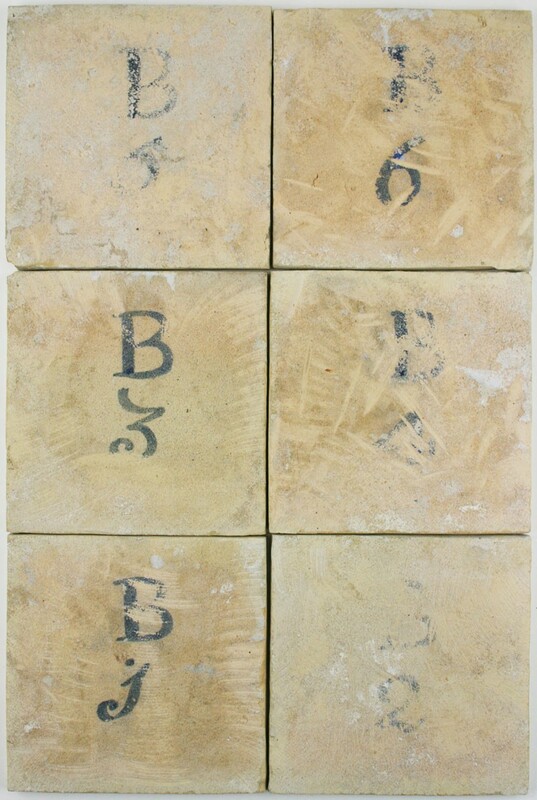 Great to use in all kinds of interior design projects, such as a fireplace, hallway, kitchen backsplash or near an entrance.